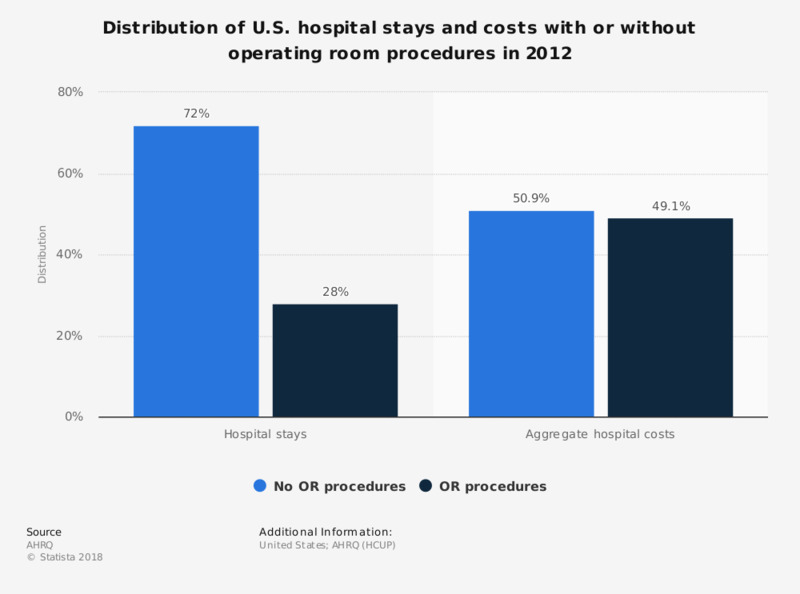 This statistic displays the distribution of hospital stays and aggregate hospital costs in the United States with and without operating room procedures in 2012. During this year, 28 percent of hospital stays included operating room procedures. Approximately two-thirds of hospitalizations include some form of procedure, although many, like blood transfusions or vaccinations, can be done outside of operating rooms. Costs for hospitalizations with operating room procedures are often much more costly than those without.